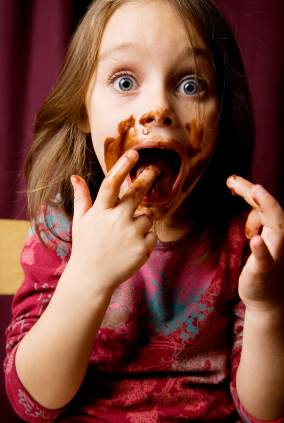 Lets face it, when you have a sweet tooth, there’s nothing quite as satisfying as a mouth-watering piece of chocolate! Well fellow chocolate lovers rejoice! Dark chocolate is not only delicious; it contains many health benefits as well. A direct quote from a good friend of mine; “dark chocolate is so much more satisfying than milk chocolate; normally I would kill a whole candy bar, but I only need two pieces.” Thanks, Jacob—I concur! I could easily polish of a whole Hershey’s Milk Chocolate Bar; but if I choose high-quality dark chocolate, just a few pieces are quite satisfying. Chocolate is made from plants, which means it contains many of the health benefits of dark vegetables. These benefits are from flavonoids, which act as antioxidants. Cocoa beans are rich in flavonoids, which are part of a class of plant-derived antioxidants called polyphenols shown to have heart-protective effects. Fruits, vegetables, tea, and red wine also contain flavonoids, but certain types of chocolate have higher antioxidant levels than these foods and beverages. Antioxidants protect the body from aging caused by free radicals, which can cause damage that leads to heart disease. Dark chocolate contains a large number of antioxidants. Although cocoa beans have substantial flavanoid levels, many chocolate products are highly processed, a procedure that often adds sugar and milk, lowering the flavonoid content of the finished product. The bottom line is the darker the chocolate, the higher its cocoa and flavonoid content. White chocolate does not have any of the same benefits because it is a mix of cocoa fat, sugar, and flavorings. A study published in the Annals of Internal Medicine noted that ordinary plain dark chocolate is 43% cocoa, plain milk chocolate, 30%, and a typical candy bar, only 15%. Chocolates made in Europe are generally richer in cocoa phenols than those made in the United States. Just remember, if you want to indulge and also reap the health benefits; darker is better. If you can find organic chocolate even better. Organic chocolate is better for you for many of the same reasons that buying organic is better in the first place. You can support fair trade practices in countries where cacao beans are grown; shade grown beans encourage biodiversity, and you also avoid toxic chemicals. If you’re going to indulge; slow down and enjoy it. Chocolate is a complex food with over 300 compounds and chemicals in each bite. To really enjoy and appreciate chocolate, slow down and take the time to taste it. Professional chocolate tasters have developed a system for tasting chocolate that include assessing the appearance, smell, feel and taste of each piece. One of my favorite ways to enjoy chocolate is with a cup of hot tea or chocolate; the warmth makes the chocolate melt in your mouth. The bottom line: Moderate amounts of dark chocolate may have some heart benefits, but many claims are unproven and much more research is needed before chocolate can take its place among true healthy foods, such as fruits and vegetables, which also contain vitamins, minerals, and fiber not found in chocolate. That said, replacing the regular sweet treat in your diet with the darkest chocolate you can find (look for a high cocoa content) certainly won’t hurt you and you’ll reap some health benefits. Check out this CBS news clip "The Truth about Chocolate"
Just remember to trade off the calories for something else in your daily eating plan. Here is a link that provides caloric information. The only downside of indulging in too much chocolate is getting your teeth stained, causing tooth decay. But this could be just a minor issue if we don't usually neglect our hygiene - brushing our teeth after eating and all that. Other than that, go on and love the chocolates! Having that sweet, luscious bar sounds fun if we want some antioxidants. I really appreciate your feedback! You’re absolutely right, consuming chocolate on a regular basis can cause teeth to take on a yellowish appearance. However, like you said, the key is to brush your teeth after eating chocolate. Thanks again!